Take a short break in Ireland’s Ancient East and visit places filled with quirky and memorable experiences. With the maps as your guide and itineraries as your inspiration, discover a region of legends and stories, from ancient times to modern day – a place brimming with culture, attractions, festivals and fun. Immerse yourself in a journey of discovery of 5,000 years. Get off the beaten track to see, hear, touch and feel the imprints of the millennia of settlers in this land. 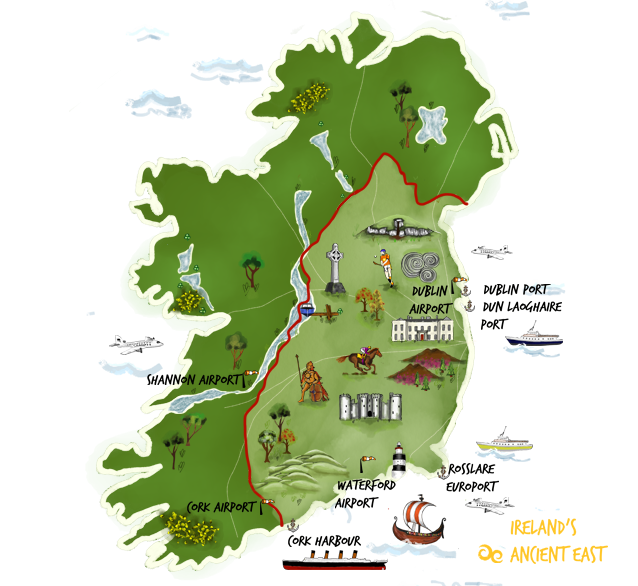 Your adventure through Ireland’s Ancient East starts HERE! The Stone Age art, the Monasteries, the Castles and Fortresses. Drive leafy roads, explore meandering rivers or the mountains that once protected the original inhabitants. Take in a Festival, Try local fresh produce or tasty local specialities, many of which trace their roots to ancient times. 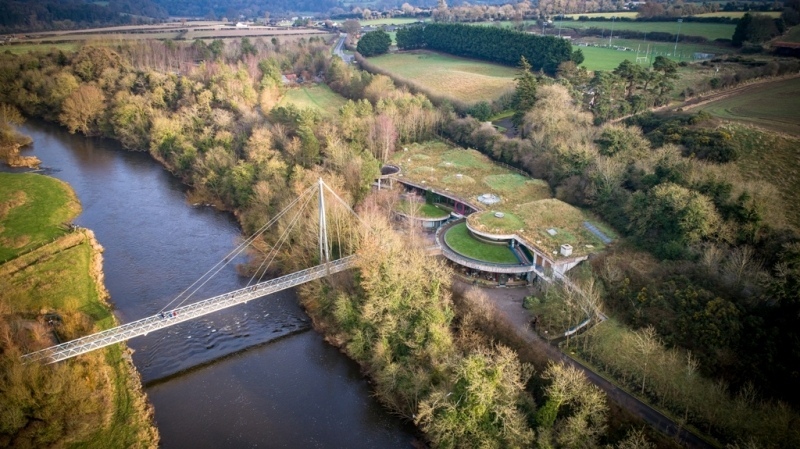 From food festivals to cultural occasions, Ireland's Ancient East contains a wealth of events that will enrich your understanding of this vibrant region. Check out what’s happening and experience the magic. Get off the beaten track to see, hear, touch and feel the imprints of the millennia of settlers in this land. Ancient Man, Early Christians, Medieval Lords, Colonial Settlers and their descendants have all been seduced by these lushest, green and fertile lands. Ireland's Ancient East is a region with plenty of historical twists and turns! From Viking invaders and Norman knights to high kings, monks and fleeing emigrants; visit places that boast of great legends, strange tales and mighty battles. With experiences to entertain and delight the whole family, have The Headfort as your base and start your next adventure now!